Panagiotis Balalas was born and raised in Serres, Greece. For more than 20 years, he has worked for several radio stations in Greece. He moved to London in 2014 due to his postgraduate studies. Voice over artist, radio personality, journalist, music editor, media enthusiast. 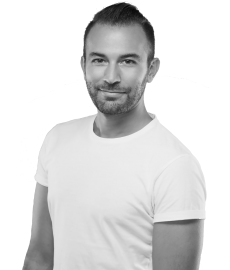 With a Diploma in Digital Marketing, a Certification of Studies in Public Relations-Communication-Marketing-Advertising, a Bachelors degree in Public Relations & Communication and a Masters degree in Media & Communication, Panagiotis works in media industry since 1997 continuously. He is member of the British Radio Academy and National Union of Journalists UK (NJU) as well. He was just 13 years old when he did his first show in radio! Since then he has been on air for approximately 8,000 hours as a radio producer and program director! 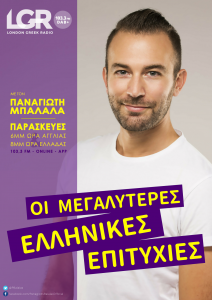 His radio shows in Greece always engaged massive audiences according to official audience measurements and he has hosted almost all of the most significant current Greek performers on air. As a voice over artist he has given his voice in dozens of advertisements for television and radio but his biggest desire is to give his voice to an animation character of the big screen (you never know!!). He loves cooking, playing board games/video games with his friends and worships feta cheese (he just can’t survive without feta)! Panagiotis is a true radio lover and every single person who knows him personally says that he wasn’t born for radio… radio was born for him. Catch him every Friday evening at 6pm for the biggest and most famous Greek radio party in Europe taking place on London Greek Radio 103.3!